Let’s take a moment to explain the purpose of this article. 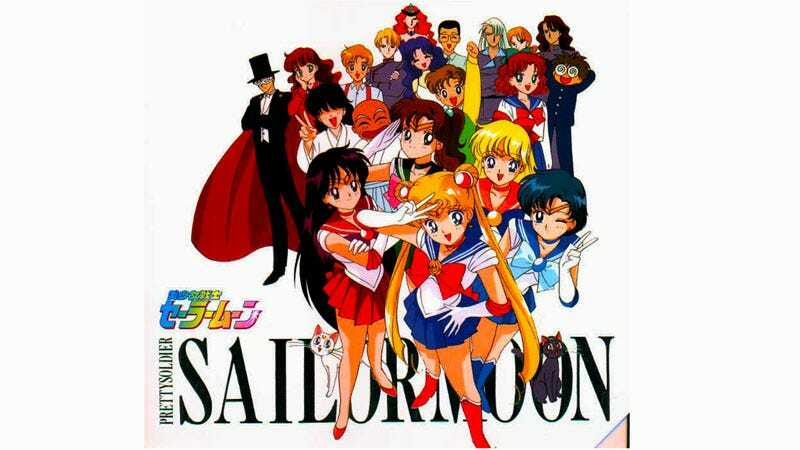 Each season of Pretty Solider Sailor Moon is about 40 episodes long, which is particularly daunting in this day and age, where 12-24 episode anime are the norm. Watching only one season of Sailor Moon can feel like an unreasonable time investment... but at the same time, Sailor Moon is such a staple, not just for the magical girl genre but for anime itself. The desire to check it out is definitely there among new and old anime fans who haven’t seen it. So, the purpose of this article (and the ones I wrote for the seasons that follow, which are linked below) is to make the 200-episode original Sailor Moon anime a little bit more accessible. Of course, the concept of a “filler-free” guide is not new - you can hop on Google right now and find a simple list of which episodes are filler and which aren’t. However, the problem with trying to make a “filler-free” guide for Sailor Moon is that most episodes aren’t technically filler. The writers played it smart: most filler episodes contain about 1-2 minutes of content that is actually relevant to the plot, while the remaining 23 minutes is devoted to monster-of-the-day stuff of very little consequence. For example, the Moon Princess is first mentioned in a filler episode - and that’s literally all it is, a mention. Does that mean the episode is filler, or not? There are many situations like that in Sailor Moon. On top of that, most of the series’ characterization, and most of its charm and humor, happens in filler episodes. So, to compensate for this, I’ve written a filler-reduced viewing guide. I’m going to attempt to do this by putting each episode into one of three categories: Filler, Recommended and Required. They’re probably self-explanatory, but let’s look at them a bit closer before we begin. Filler: Episodes filed into this category are completely skippable. Note that this does not mean the episode is necessarily bad - although filler episodes sometimes are - it just means that you can skip it entirely and miss almost nothing. Recommended: This category is for episodes that are technically filler, but which I recommend watching for whatever reason. Some are simply classic episodes that I think people should watch because they’re entertaining, despite being filler. Required: Probably the most obvious category, these are the episodes you must watch in order to follow the main plot. By watching some or all of my “Recommended” episodes, you’ll see more character interaction and more of the fun, silly humor the series is known for, while avoiding the breakneck pace that flawed Sailor Moon Crystal. As a result, you’ll get a more complete Sailor Moon experience without having to sit through so many pointless filler episodes. I also separate out the season into a number of unofficial “sub-arcs” to help give some context to the decisions I made and better explain the minor plot points you may miss by skipping filler episodes. Before we begin, I’d like to address a few frequently asked questions that came up when I first started posting my guides. You can skip this FAQ by simply scrolling down until you see the next header image. Q: What is the point of these guides when Sailor Moon Crystal was made to be a remake of the anime without the filler? A: Sailor Moon Crystal is NOT a remake of the 90’s anime. It is a reboot that focuses on adapting the story of the manga. If I could bold and underline that twice, I would. If Sailor Moon Crystal was meant to be a “remake without the filler,” it would include the plethora of changes the 90’s anime made from the manga, such as the romantic relationship between Zoisite and Kunzite. The anime-only additions and changes are not present in Crystal, because Crystal was never intended to be a remake of the 90’s anime (and judging it as such is totally unfair). And regardless of that, when something gets a reboot/remake, the original doesn’t automatically become obsolete. More often, the opposite happens. Q: If I am new to Sailor Moon, should I watch Crystal or should I follow your viewing guide for the original anime? A: It’s hard to say, because I think it depends on your specific tastes. As mentioned above, Crystal is an adaptation of the manga, which is very different in tone and execution compared to the 90’s anime. Crystal is a fast-paced shoujo drama with an emphasis on the romance between Sailor Moon and Tuxedo Mask. It doesn’t waste your time with an absurd amount of inconsequential filler episodes, but it doesn’t have the same level of fun, juvenile silliness that catapulted the 90’s anime into massive popularity 20 years ago. I don’t recommend Crystal as an entryway into the SM franchise for that reason. Crystal was made for long-time fans like myself who had been wishing for a manga-based anime for decades, whereas the original 90's anime is why the franchise is famous in the first place. However, there are naturally gonna be some people out there whose first exposure to SM was Crystal and who thoroughly enjoyed it, despite what I would recommend. So like I said, at the end of the day I can’t tell you which to watch because I don’t know which one you’re going to like more. If my “required + recommended” episode count is still too long for your tastes, just go ahead and watch Crystal. Q: I think this guide is stupid because people should just watch every episode. A: Please don’t bother leaving a pointless comment like this. This article is for people who already don’t want to watch every episode. Obviously, if someone was willing to watch all of them, they would just do it and wouldn’t be looking for a guide in the first place. Q: Where can I watch Sailor Moon online? Hulu currently has all five seasons of the show available with the original Japanese voices and English subtitles. They also have several seasons of the new English dub by Viz, which is pretty good! I can easily recommend the new dub if you prefer to watch dubbed anime. If SM is not available in your region on Hulu, I suggest using Google to find where else you may be able to watch it. Moreover, boxsets are available on Amazon.com and other retailers, and there’s always unofficial streaming sites and torrents. Without further ado, let’s get to the guide! EDIT [7/4/17]: Hello everyone! This article was originally published in October 2015, so it’s pretty old by now, but I’m so happy to see people still using it and experiencing the awesomeness that is Sailor Moon!!! ^_^ Just leaving a note here to say that this guide has been edited since its original publication to incorporate feedback given in the comments and to add the FAQ that was previously included in the season 2 guide. Your feedback IS appreciated! If you have any other thoughts on this guide or the others for seasons 2-5, please continue to let me know! 1, 8, 10, 13, 25, 32-36, 44-46. Total of 13 out of 46 episodes. 1, 3, 8-10, 13-15, 19, 22-27, 30-36, 42, 44-46. In the first several episodes of Sailor Moon, Usagi is fighting the bad guys by herself. Most of these are filler episodes and can be skipped. Once Sailor Mercury and Sailor Mars show up, the plot starts to pick up more. ✮ Episode 1: Required (obviously). Episode 2: Filler. Two minor reoccurring characters are introduced in this episode, but they’re easy to understand from context in later episodes and otherwise it can be skipped. Episode 3: Recommended. If you choose not to watch it, all you need to know is that Usagi gets a new item that allows her to disguise herself. This item is used in later episodes. Episode 9: Recommended. Sailor Mercury gets a new item, a handheld supercomputer that helps her analyze enemies, which she will use frequently for the rest of the series. Episode 11: Filler. However, this is a classic episode with some funny moments and good characterization, so consider watching it if you’re interested! Unfortunately, after Jadeite we enter a sub-arc that exists almost entirely for filler purposes. Very few important things happen over this span of 10 episodes, to the point that you could probably skip all of them and miss very little. However, there is a classic subplot here involving Naru and Nephrite, so you can watch those episodes if you are interested. If you skip any of the recommended episodes, these are the ones I’d say to skip. If you decide not to watch this subplot, spoilers for what you need to know are in the introduction paragraph in the next section. Episode 15: Recommended. This is a borderline required vs. recommended episode. In this episode, Rei tries to go on a date with Mamoru and there are a few breadcrumbs of plot (for example, it’s implied that Mamoru involuntarily transforms into Tuxedo Mask whenever Sailor Moon is in trouble). These are relatively minor plot points, and the episode is otherwise kinda bad, but it should probably be watched. Episode 19: Recommended, IF you are interested in the subplot mentioned above, as it is the first episode in that subplot. Episode 21: Filler. This episode is 100% filler, so it’s one that can be skipped if you’re trying to cut back on how many episodes you have to watch. But it’s good characterization for the main cast, and a nice reminder that Sailor V is still lurking in the background of everything that’s going on, so consider watching it anyway! Episode 22: Recommended. This is one of the few filler episodes based on a chapter from the manga. In the manga, it’s much more important to the story, but here it’s incorporated more into Nephrite’s filler arc. If you are watching the subplot that starts with episode 19, it continues here. Episode 23: Recommended if you are watching the subplot. This is part 1 of its ending. Episode 24: Recommended. This is part 2 of the ending of the Naru/Nephrite subplot. Again, if you chose not to watch this subplot, the important details are below. Thankfully, the pace picks back up as we enter the second half of the season. The Rainbow Crystals arc takes one chapter of the manga and spreads it out over many more episodes, by requiring the characters to gather pieces of a puzzle together. Technically, each episode in which a piece is obtained is not filler, but at the end of the day the plot relevance is that a piece was found and that’s it. If you skipped the Nephrite/Naru subplot, all you need to know is that Nephrite had a special gem that helps detect Rainbow Crystals, and Zoisite stole it after killing him. Episode 26: Recommended, especially if you watched the Naru/Nephrite subplot, as it deals with some of the aftermath of it. However, it is skippable if you did not watch it. If you choose to skip this one, Mamoru realizes he is Tuxedo Mask and he gives Sailor Moon a star-shaped music box locket, which will show up later in the season finale. Episode 27: Recommended. In this episode, Ami meets a filler character who appears very briefly during the season finale. Otherwise, this is not an important episode. However, the character’s appearance at the end, while brief, can still be jarring without having seen this episode. And including this episode gives Sailor Mercury a little more screen time. However, if you don’t really care about meeting that one filler character for the sake of one moment in the finale, you CAN skip this one. Episode 30: Recommended. Much like episode 27, we are introduced to some reoccurring filler characters in this episode, namely Rei’s love interest Yuuichiro. He’s referenced very briefly (an even more minor reference than the character from episode 27) during the season finale. Otherwise, this episode is skippable as nothing else important happens aside from another Rainbow Crystal being found. Episode 31: Recommended BECAUSE IT IS THE CAT EPISODE, AND THE CAT EPISODE IS THE BEST EPISODE. Finally we begin to reach the climax of the first season. Even though the ending is rapidly approaching, they still managed to pad it out with more filler episodes. But, for the most part, it’s smooth sailing until the finale! Episode 38: Filler. This episode is technically a conclusion of the subplot with Rei trying to date Mamoru, but... “spoilers”... their relationship doesn’t work out. You really don’t need to watch this one but you can if you want. Episode 39: Filler. This episode is good, although I wouldn’t call it “great.” You can watch it if you feel like Venus and Jupiter haven’t got enough screen time. Episode 42: Recommended. This is Sailor Venus’ backstory episode. Not relevant to the plot, but important for the character. Episode 43: Filler. However, this is another classic episode, so if you’re feeling okay about watching a few extra episodes, consider watching this one. ✮ Episode 45: Required. Fun fact: while tame nowadays, this episode is said to have shocked and traumatized the show’s younger audience in 1993 to the point of making some physically ill.
✮ Episode 46: Required (season finale). The bare minimum “required” episodes: 1, 8, 10, 13, 25, 32-36, 44-46. Required + all potential recommended episodes: 1, 3, 8-10, 13-15, 19, 22-27, 30-36, 42, 44-46. I sincerely hope this list makes the original Sailor Moon anime more accessible, and therefore helps more people get into the franchise overall (psst... read the manga). If you decide to follow my recommended episode list, please leave a comment to tell me how it worked out for you, and whether there were any moments where you were confused because you felt like you missed something. The same goes for anyone familiar with the first season who might disagree with me on any episodes. I am certainly open to any input or suggestions on how to make this viewing list better. And lest I forget: the original Pretty Soldier Sailor Moon anime is available to watch for free on Hulu. After you’ve enjoyed Sailor Moon season 1, check out my filler-reduced viewing guide to season 2, Sailor Moon R!